Is it just nostalgia, or am I right in feeling wistful for the sixties and seventies? I was raised in sheltered small town Illinois, so was on the fringe of the fringe of the hippy movement. I never participated in any social activist rallies or attended any outdoor rock concerts. But throughout high school and early adulthood I felt a sense of impending change. Good things were on the horizon, you could almost smell them like the scent of a delicious meal you could enjoy soon. Peace was the cry then, rather than Occupy anything. Make Love, Not War. I remember being so struck by a Life Magazine article on one week’s death toll in Vietnam that I cut out this photo of one young man the article said goodbye to. I didn’t know him. But I felt I knew him. He was the face of war to me and the toll war takes on our youth. Between the protests against the war and the growing civil rights movement and the music calling for unity and world peace, it felt like the world was on the brink of doing something momentous that would change us forever. Did we? Maybe, in some ways. But where are those young activists now? They are all around my age. Shouldn’t the idealism they believed in then be something they have achieved by now? Where are the hippy senators and congressman and governors? Or do most kids turn into conformers when they grow up? 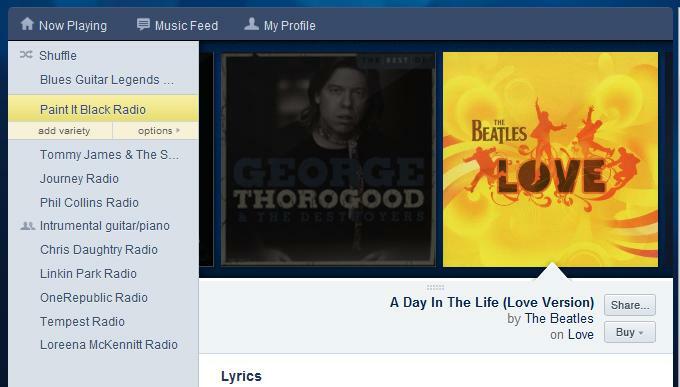 When I listen to the oldies on my Pandora radio station, there’s a part of me that wishes none of us had ever grown up. I wish we were walking around in Granny glasses and long hair and bell bottoms. But more importantly, I wish we were all walking around spreading the love for all humanity. Thanks, Linda. I’m sure sure if you’re referring to this Pandora’s Box post or a different post of mine, though. Most of my Musings here don’t seem to me like they’d be all that helpful in the business sense–most are just my observations about the human condition. But I do hope that they give people cause to reflect. Thank you, Brian. It’s nice to know you’re enjoying them. You should start a blog yourself, if you don’t have one already. It’s easy on WordPress.com, and fun!